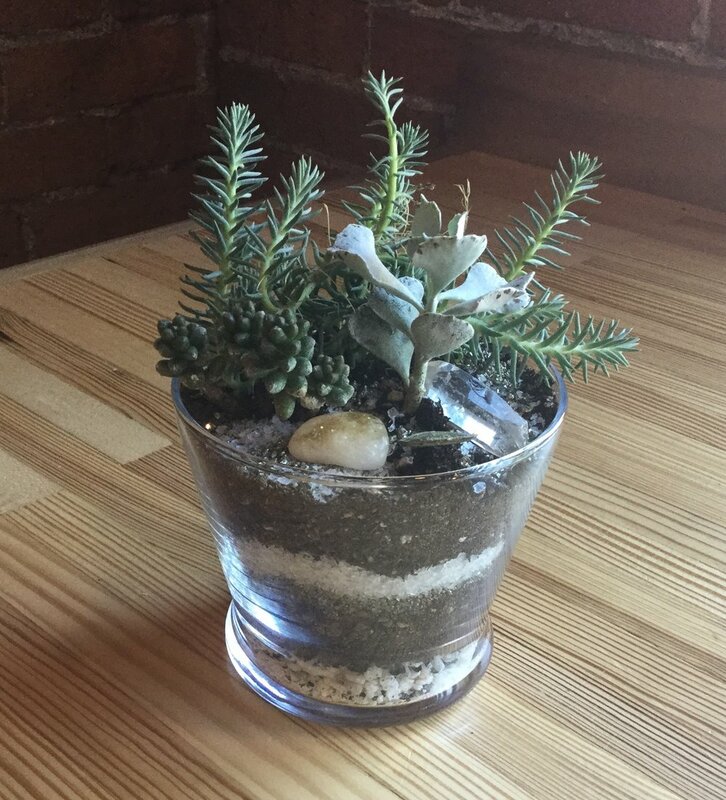 We offer an in-store terrarium making area that is available daily during our business hours. We carry a nice selection of supplies to help you create a botanical masterpiece. 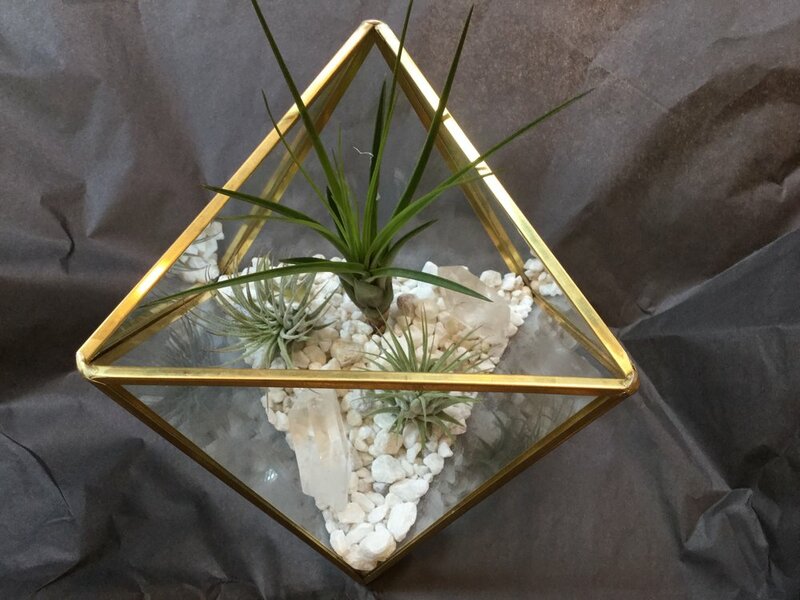 Items include rocks and stones; gemstones and crystals; hanging and table top glassware; and plants including air plants and mini succulents and tropical houseplants. 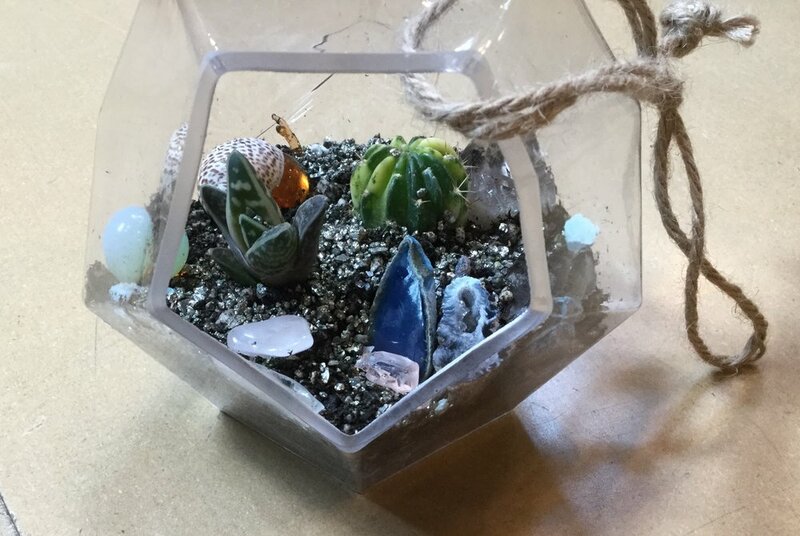 Terrariums are priced per supplies used. 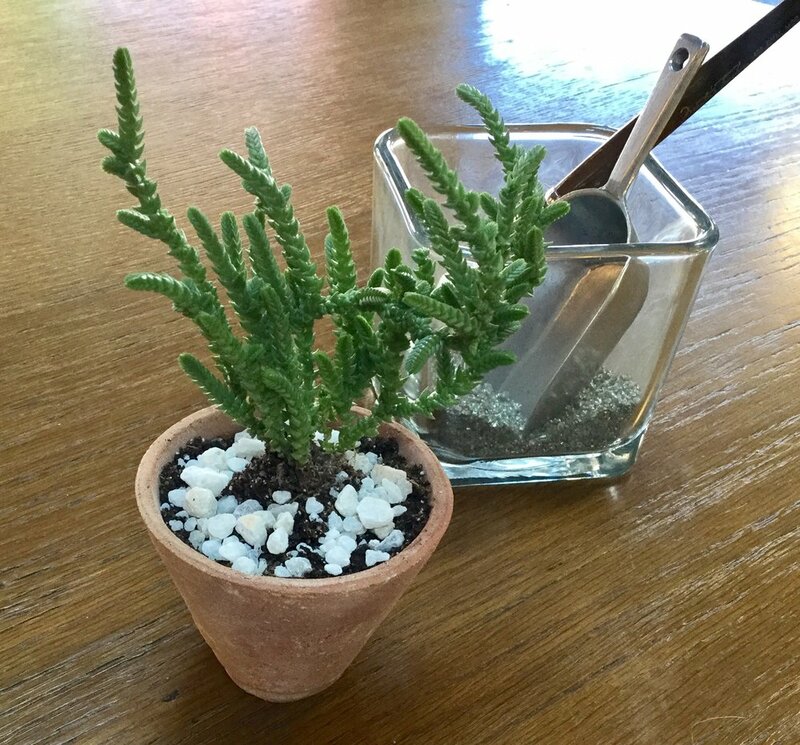 As an example, mini table top terrariums begin at $15 and hanging terrariums are typically $40-50 and include a few plants and special gems. Come in and be inspired! 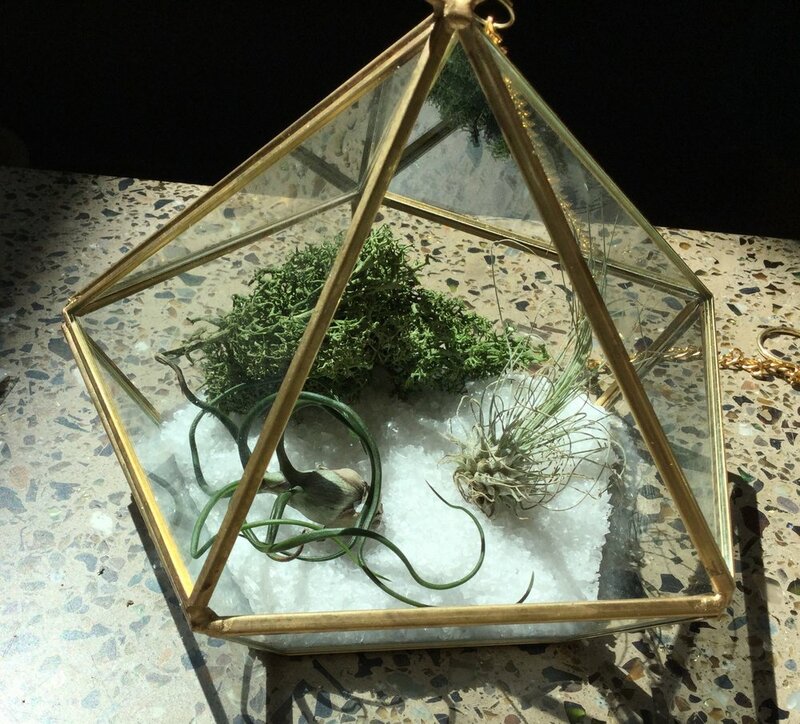 We'll guide you on how to create your own terrarium then let you enjoy the process. 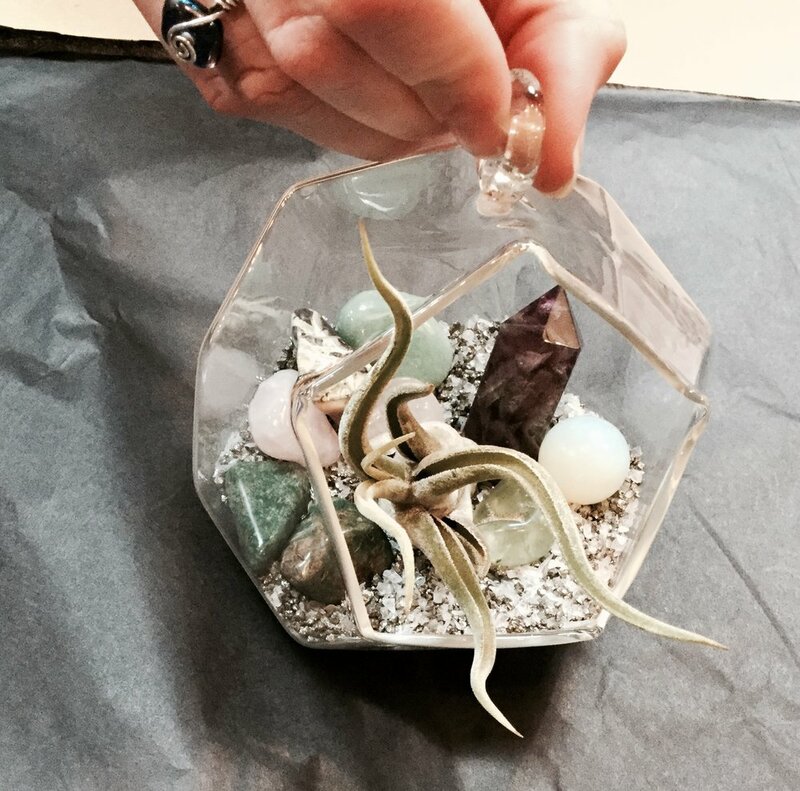 In addition, we also offer pre-made terrariums in shop, and can also create a custom terrarium. Scroll below to learn more or order online. Fill out the information on the left and we will be in touch to confirm your order, or you can call us or stop in and see us during regular business hours to let us know your thoughts! 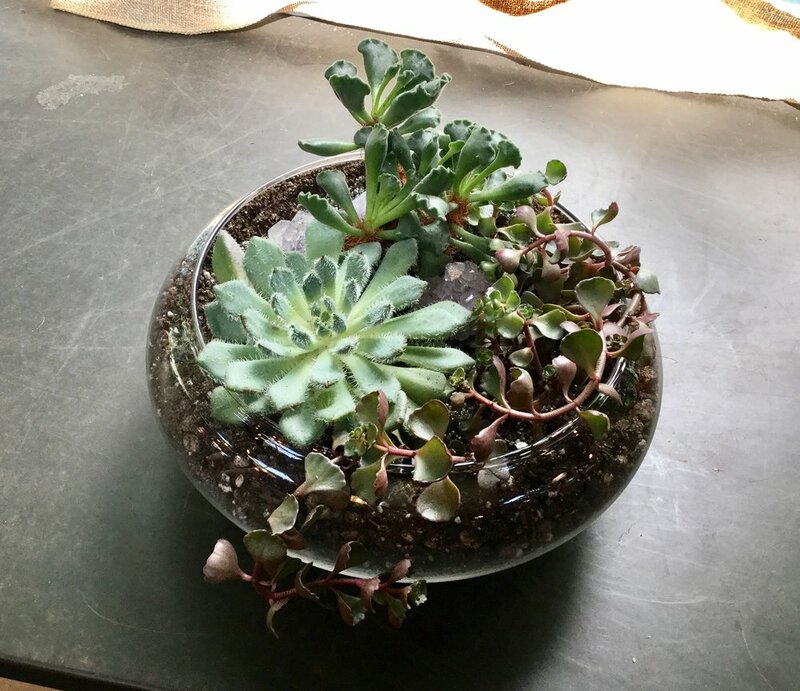 We have a nice selection of glassware in stock, but please give us at least one week advance notice for larger terrariums so we can be sure to find glassware in time in case it is out of stock.